Very few non-fiction books have had the long-lasting impact of Dale Carnegie’s 1936 classic, How to Win Friends and Influence People. The title alone was a meme long before memes were a thing – the phrase became shorthand for the cultivation of a winning personality, especially in the pursuit of professional success. So how has the book remained such a bible for sales and marketing professionals? Can advice based on rambling anecdotes about figures such as Abraham Lincoln and Al Capone hold much value for the entrepreneurs, salespeople and marketers of today? The truth is that the grandfather of the modern self-help genre earns its place on every business person’s bookshelf because of the fundamental integrity of its advice. Carnegie, an aspiring actor who found great success as a public speaking coach, captures an earnest early 20th century American optimism, full of virtuous principles and upstanding advice. Underlying all Carnegie’s principles are two fundamental insights. Carnegie breaks down his advice into 30 principles divided into a number of sections: 3 fundamental techniques in handling people; 6 ways to make people like you; 12 ways to win people to your way of thinking; and 9 principles to be an effective leader. Amid all of the principles is plenty of folksy wisdom, emphasizing the power of smiling, the importance of listening rather than talking and the value of showing appreciation rather than offering criticism. Cumulatively, those 30 principles add up to a very effective formula for achieving what the famous title promises. Underlying all Carnegie’s principles, however, are two fundamental insights, which every sales and marketing professional should internalize. The first core insight that underpins many of Carnegie’s principles is the observation that people tend to be pretty self-centered and only by understanding the extent of that self-absorption can we hope to have an impact on their way of thinking. That was true in the 1930s, and it’s probably even more true in the selfie-obsessed 21st century. Always make the other person feel important. Whether you’re on a marketing team trying to capture people’s attention or a sales team pursuing leads, Carnegie’s book argues that appealing to other people’s self-interest should be a cornerstone of your strategy. That might sound like a truism, but modern frameworks such as Jobs-to-be-Done are basically formalized processes for incorporating other people’s point of view. Considering the jobs our customers are hiring us to do forces us to consider not our own strategic needs, but rather how we can address our customers’ needs instead. Ultimately, you must develop an empathy for others in order to best understand how to serve them. Understanding other people’s self-interest, however, can only bring you so far. The second element that is key to finding success with Carnegie’s book is a simple-sounding but surprisingly rare quality – sincerity. The difference between appreciation and flattery? One is sincere and the other insincere. That dichotomy, between the counterfeit and the genuine, is at the heart of all Carnegie’s advice. That appeal to the power of sincerity is no less critical in an era of online business. Just because you are dealing with leads over live chat, say, rather than meeting them for lunch or even talking to them on the phone, doesn’t mean that an authentic connection isn’t possible, or desirable. 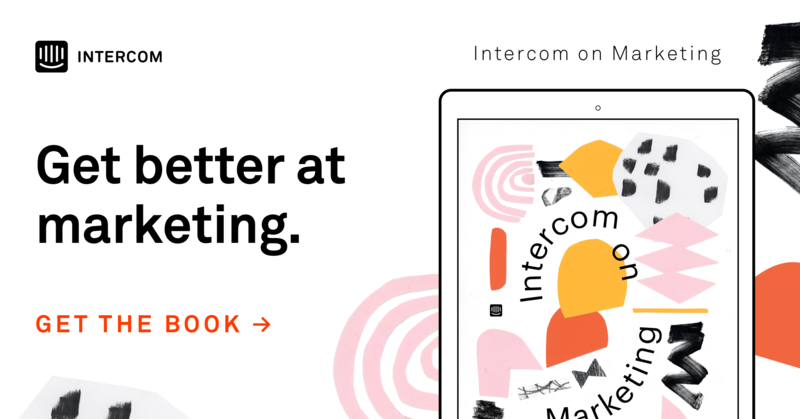 There’s a reason our mission here at Intercom is to make internet business personal – it hinges on an implicit assumption that the personal is positive, no matter what scale you’re operating at. The book is emphatic about the need for genuine empathy. Convincing people to buy your product or service, goes Carnegie’s logic, is almost entirely dependent on you actually caring about solving their problem. That’s Carnegie and his book in a nutshell. How to Win Friends and Influence People is about kindness, about generosity, about empathy, and ultimately about finding success through rigorous selflessness. His lessons, it’s safe to say, are both timeless and timely.